Moving existing sprinkler heads to accommodate renovations. 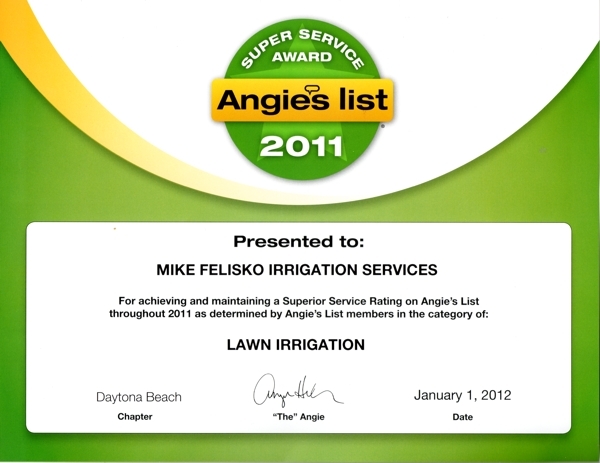 on all automatic sprinkler systems as of April 2002. 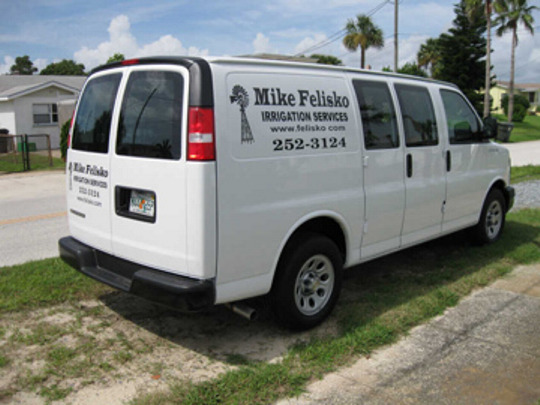 PVC, galvanized & black poly pipe repair. 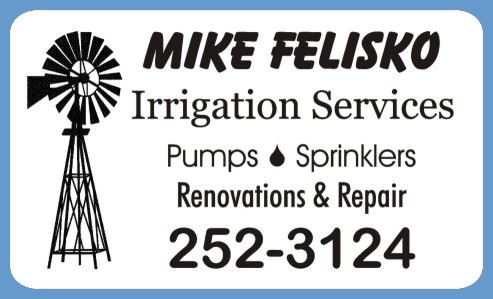 Pump, timer and valve replacement. 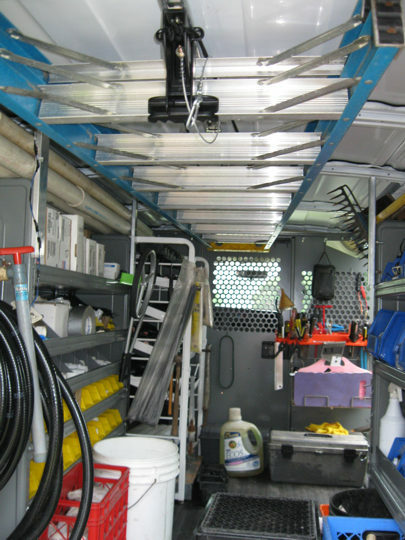 Monthly or periodic maintenance programs available. 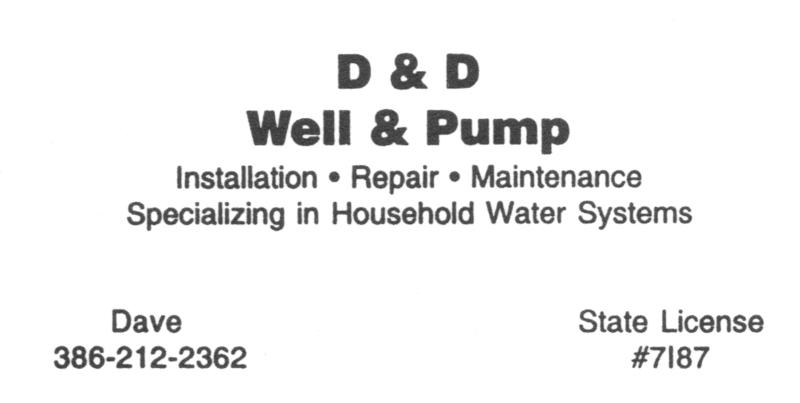 I do not install complete systems or wells. Questions or comments? 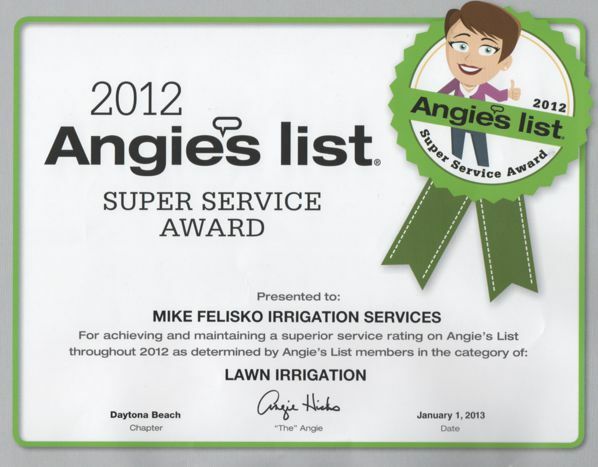 Please feel free to call or e-mail me. (please include "MFIS" in the subject line). I will reset it free of charge next time I am in your area. Priority is given to voice messages left on my main number (252-3124). Please note that this is a land line and will not receive text messages. If your phone number is listed, my caller ID will retain that information. between 8:30 and 10:00am the following business day. 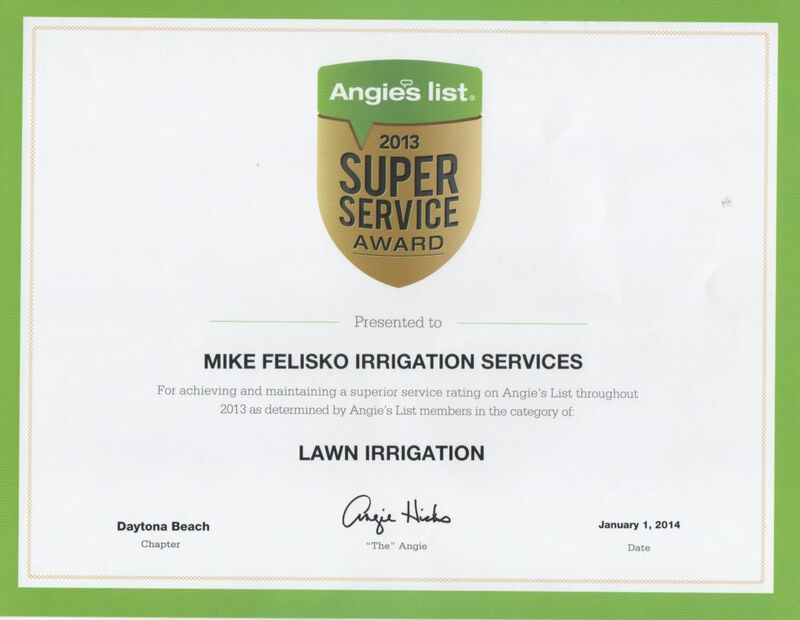 When you make an appointment with Mike Felisko Irrigation Services, it's me who will be providing you personal service. 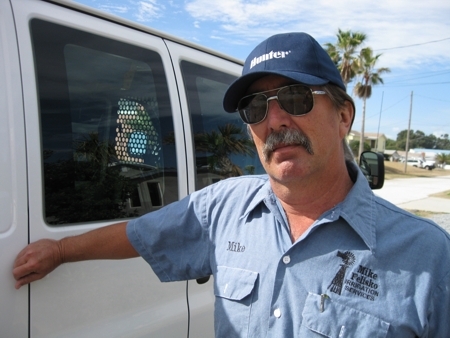 I'm only one guy in one truck and intend to keep it that way for the most part. 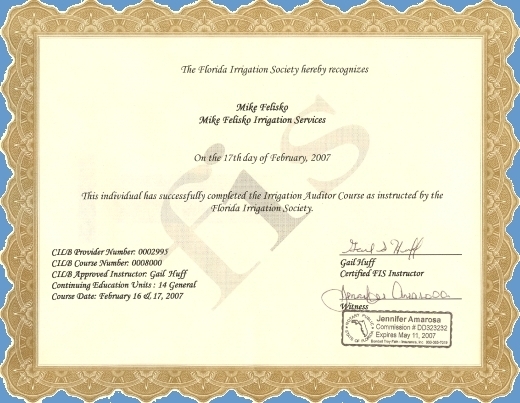 I am no longer a member of the Florida Irrigation Society.